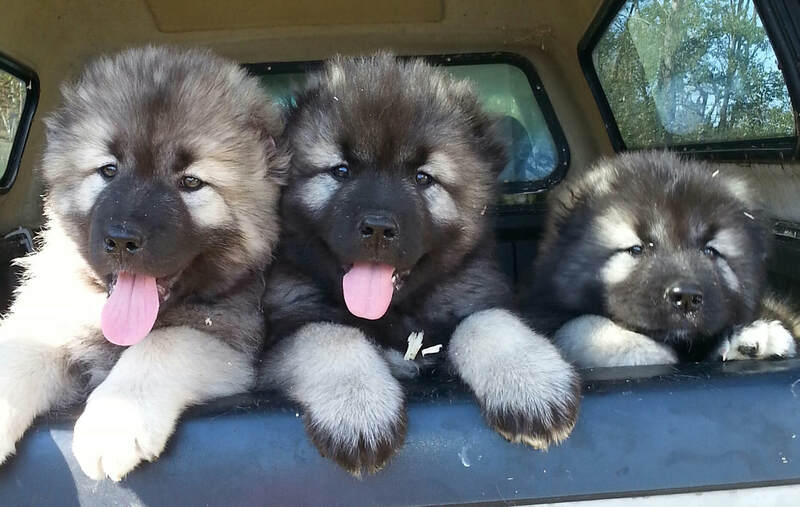 ThunderHawk Caucasian Shepherd Puppies - ThunderHawk Caucasians ...the Guardian Elite. Top Breeders of this ancient and fierce guardian dog. The origins of the Caucasian Ovcharka are lost in the mists of prehistory. A millennium of geographical isolation and the extremely harsh conditions imposed by the Caucasus Mountains of Russia created a process of natural selection, where only the largest and most aggressive animals survived to carry on the breed. Further molded by the Soviet Military into a more trainable and compliant service dog, the Caucasian of today is a noble and magnificent guarding breed that is as sweet and gentle with family as they are hostile and aggressive to strangers. Known by many names -- Kaukasische Schaferhund, Russian Shepherd, Caucasian Ovtcharka, Kavkasky Owtcharka, Caucasian Mountain Dog, and others – recently, the name "Caucasian Shepherd" has been adopted. You can always tell an old-timer in the breed because they refer to the breed as "Caucasian Ovcharka". The correct temperament for a Caucasian is NOT dominant, but is submissive to family while being naturally suspicious of strangers. Intelligent, fiercely loyal, and highly trainable, the well-bred Caucasian's natural protection ability provides formidable intruder deterrence while being naturally gentle with children, thus, the well-bred Caucasian is unsurpassed today in providing serious protection for the home and family. Ethical breeders have 100% money-back written guarantees on genetic health and temperament to back up their belief in their breeding program. Ethical breeders do not need to denigrate other breeders – ethical breeders use their outstanding breeding program to speak for themselves. Ethical breeders do not sell breeding stock to strangers, first-time Caucasian owners, or anyone who does not have the breed’s best interests as their foremost objective. If a breeder spends an inordinate amount of time focusing on another breeder, they generally feel threatened by the other breeder. ThunderHawk Caucasians will not discuss other breeders and only recommends one breeder in the U.S. and one other breeder in Canada.